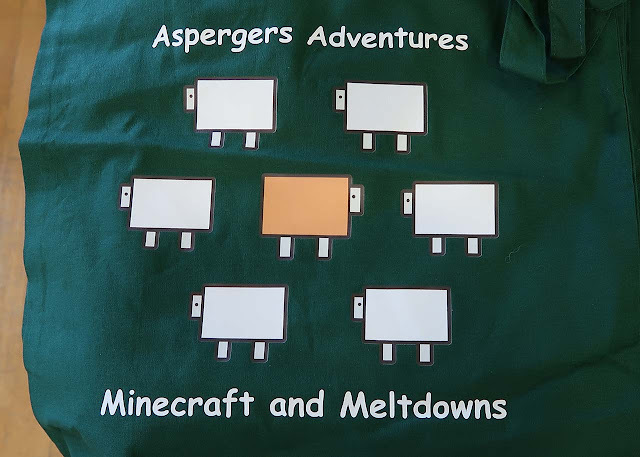 The 'Big Day In' event in Southampton, created by Michelle Robello from local Aspergers Adventures - Minecraft and Meltdowns was a roaring success. 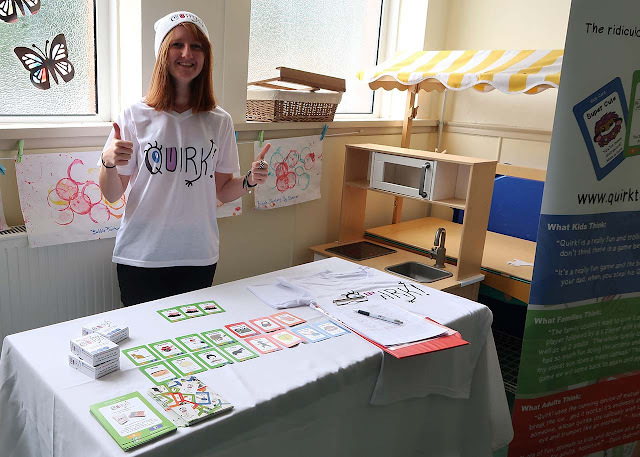 It was our second year volunteering for the support group focused on helping parents with children with Aspergers and autism. Together with an army of other companies, local support groups and charities, we had a brilliant day providing activities and play time for families in an environment where they felt relaxed and accepted. 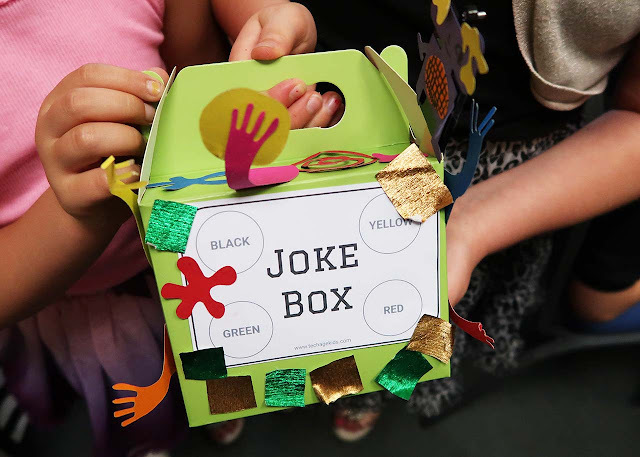 Tech Age Kids shared the 'tech zone' with Embecosm to put on some fun tech related activities for the kids. Kids could learn about electric circuits with a Shrimp workshop supported by the lovely Judith (who volunteered with us at Hacksoton too) and Jeremy from Embecosm. 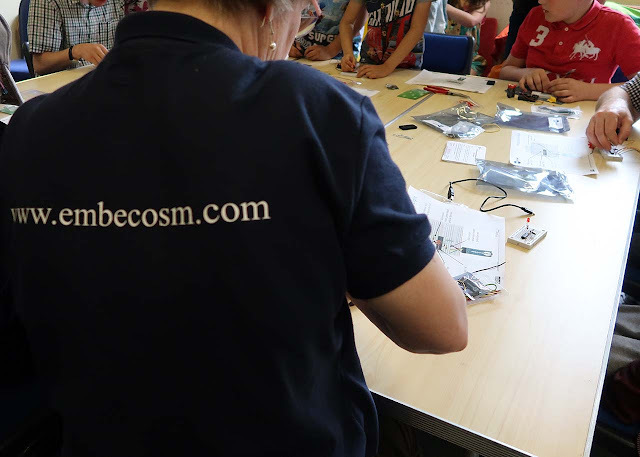 We share Embecosem's passion for supporting local community events and inspiring technologist for the future. 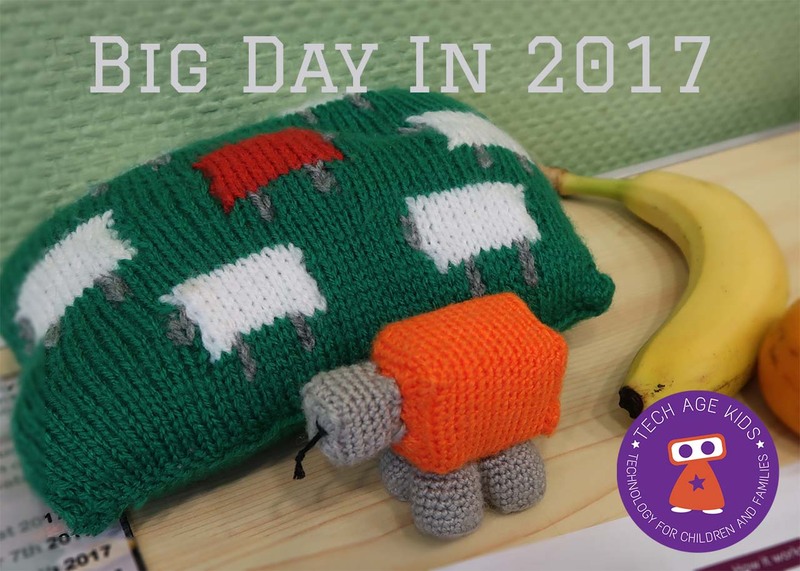 Big Day In was a perfect audience of tech-loving families! We took Ohbot along, which was a great hit with the kids and adults alike. 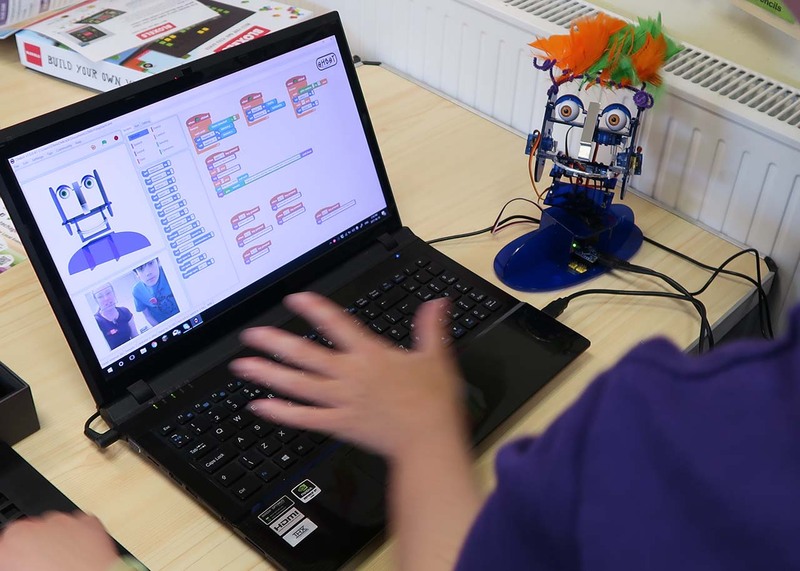 A couple kids sat for ages programming the robot head to do a number of tasks. 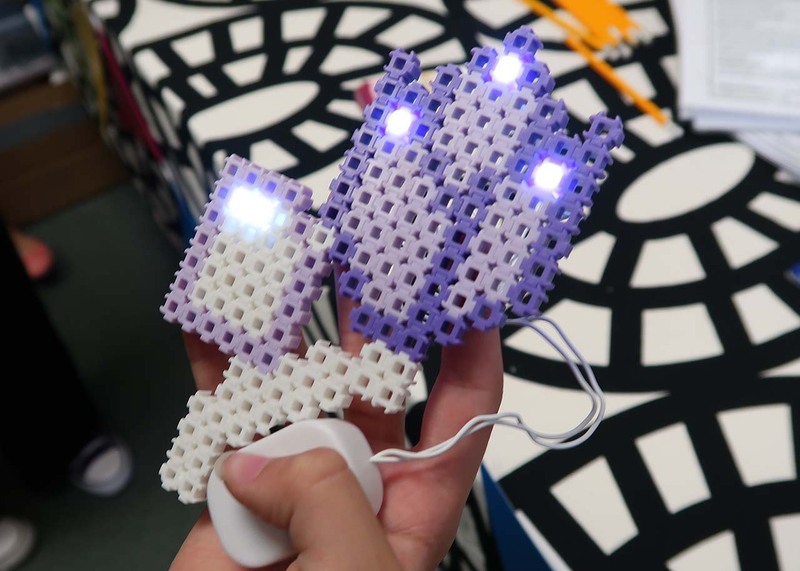 Pixel art is always fun and kids could use it to make their own retro game with Bloxels. It's a great example of connecting a physical game board with a digital game. 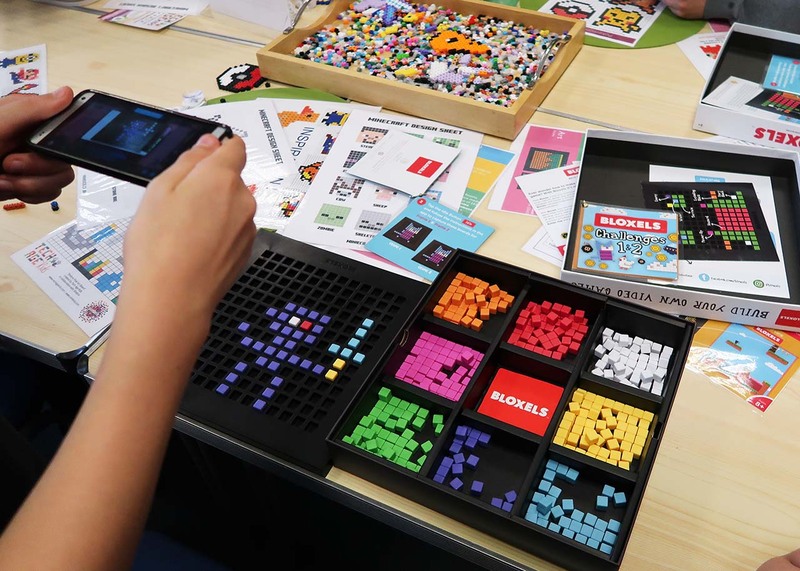 Lots of kids just used the Bloxels board to create lovely pixel art. 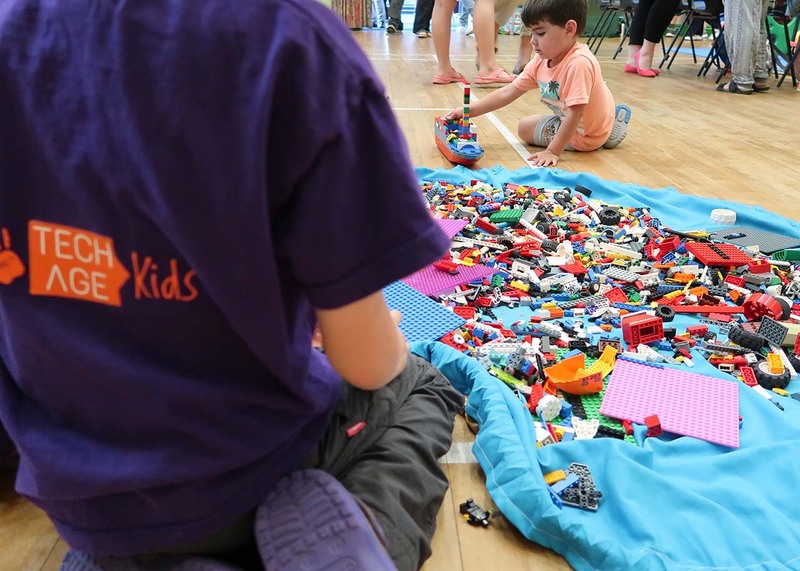 Simbrix pixel art building bricks is another favourite at events. We had kids and parents sit for ages creating with the tiny plastic puzzle pieces. They particularly LOVED our idea of adding cheap Poundland LED lights, which fit perfectly in the centre hole, for extra effect. AND build it into LEGO, Playmobil or other construction kit models or add voice messages by adding the voice recorder to a doll house! 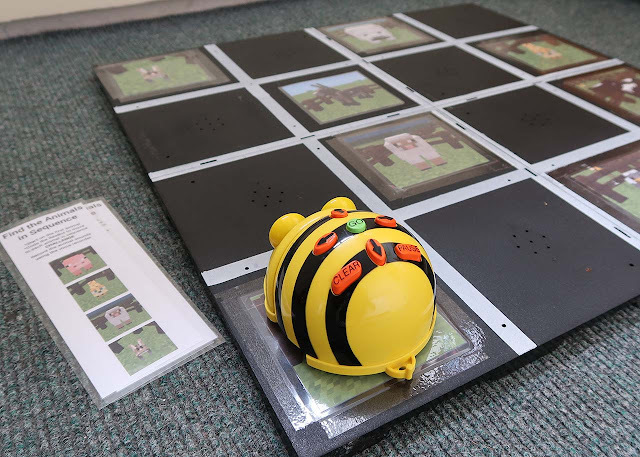 We also had a whole area dedicated to floor robots including Beebots, Code-a-Pillar and Code-and-Go Mouse for younger attendees of the event. 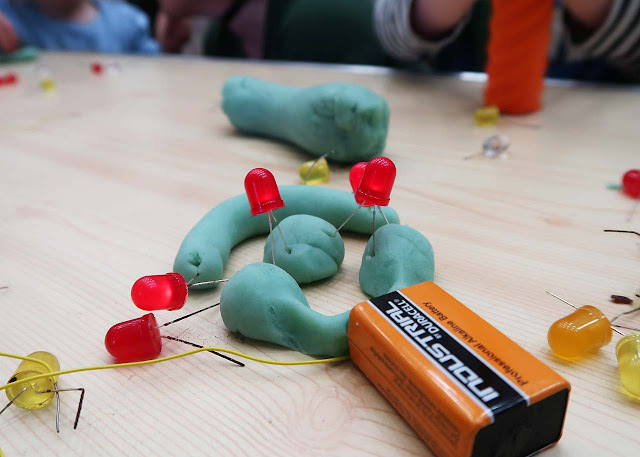 Big Day In was well supported by others like Southampton makerspace, So Make It, with their squishy circuits, Block Party Events, Board in the City, Quirk, and numerous charities and support groups. There were cakes, quiet zones, no shoes, dancing and lots of fun had by all! Thank you to Minecraft and Meltdowns for having us again this year.